Experts weigh in on the right way to do it. 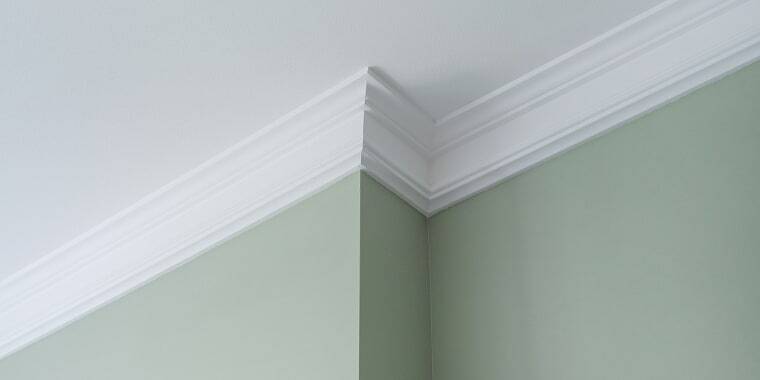 When it comes to cleaning your moldings, chances are the task falls into the “out of sight, out of mind” category, and you aren’t doing it enough. Because if you can’t see the dirt, it isn’t really bothering anyone, right? Plus, as pretty as ceiling moldings happen to be, they have traditionally been nearly impossible to clean unless you’re willing to wear stilts. In the same vein, baseboards — which often fall victim to brutal kicks and nicks — are typically forgotten because no matter how well you clean them, they never seem to actually stay clean for more than a few minutes. Thanks to the experts, though, there are ways to make both of these processes slightly easier — no stilts required. "For nooks and crannies way up high, use a microfiber duster on an extendable wand — get one that extends at least 4 to 5 feet,” suggests cleaning expert Maeve Richmond of Maeve’s Method. "Then once a month or so, just run the tip of the extended duster between your ceiling and walls, and you’ll catch lots of dust and the occasional cobweb, too.” If you can’t track down an extendable duster, she suggests taping a cleaning cloth to the end of a broomstick or yardstick for similar results. The same method, more or less, can be used on your baseboards, which are far less of a pain to keep tidy. Thumbtack House Cleaner Michael Dimopoulos advises starting the process by using a vacuum cleaner and suctioning along the length of the baseboard, paying special attention to the crevice where the trim meets the floor. If your vacuum cleaner won’t cut it, you can also use a duster. "Protect the baseboards’ newly acquired cleanliness by rubbing them with a fresh dryer sheet,” he suggests. "Not only will this leave a fresh laundry scent that lasts a few days, but also — and more importantly — the sheet’s antistatic properties actually repel dust. Perhaps it sounds like overkill, but going this one step further can really pay off.” Then, scrub off any remaining grime with one of the above solutions. Pro tip: If your moldings are white, Magic Erasers are your best friends. They can help clean up any dirt or dings without requiring a full cleaning, but be careful using them on colorful paint as they may leave a light spot behind. Dirty moldings and baseboards can make your house look shabby no matter how clean the rest of it is. So commit to cleaning one room at a time every few weeks, and the task won’t feel quite as daunting.